Born in Tehran, Iran, Amir attended boarding school in Aley, Lebanon and Tunbridge Wells, England before settling in Staten Island in 1978. In Staten Island, Amir attended Staten Island Academy, the Island’s oldest private school. Amir went on to attend the State University of New York (SUNY) at Oneonta, where he played division-one soccer, and in 1985 and 1986 was named the school’s scholar-athlete of the year. Amir also was the recipient of the prestigious “Dr. Sam Mulnar Award” given to the top scholar athlete in the New York State University system. After graduating from college in 1986, Amir attended Brooklyn Law School where he obtained his Juris Doctor from Brooklyn Law School in 1990. Amir’s credentials allow him to practice law in New York, New Jersey, California, and Washington, DC. His practice is devoted mainly to real estate matters. 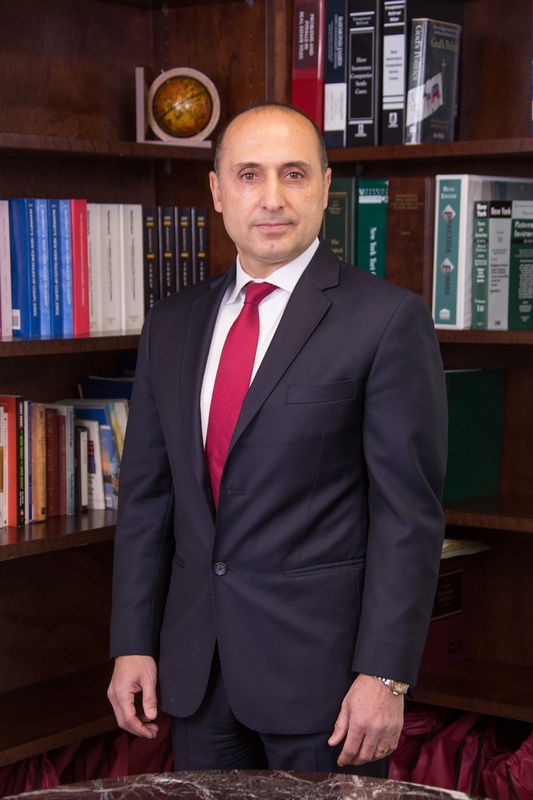 In addition to representing buyers and sellers of residential housing and commercial property, Amir represents several of the largest banks and lending institutions in the country. Amir is fluent in Persian, the language of Iran. Contact Amir H. Alishahi, Esq.